By accessing the Winsight Events app, you will be entered into a drawing to win a $100 Visa gift card! The ultimate, interactive conference experience is at your fingertips with the brand new Winsight Events app. 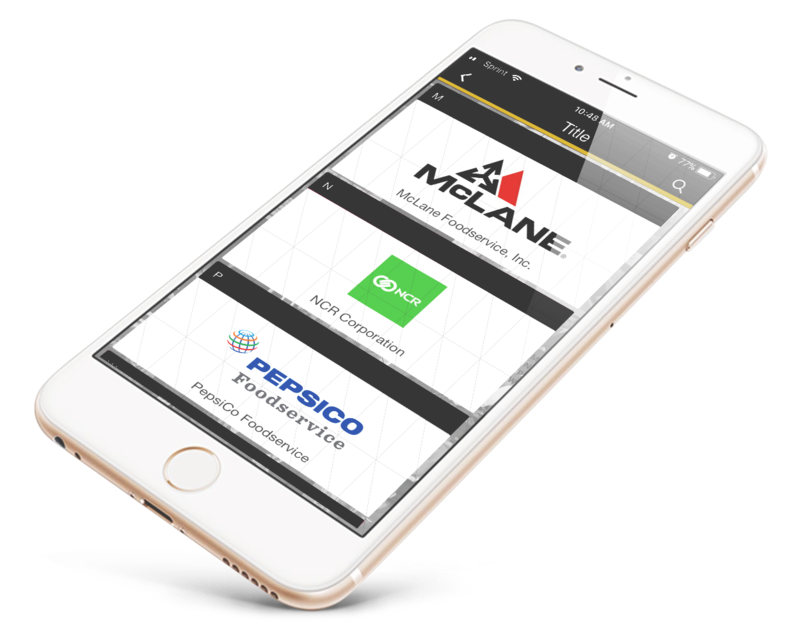 It’s not only a source for updates or organization—the Winsight Events app is an important networking tool for you and your peers. Create connections, stimulate dialogue and inspire participation to build lasting relationships. Take an active role within the app and you’ll be surprised what it can do! Please note, there will be one winner of the hotel suite upgrade, notified at time of check-in. You must be a registered attendee of RLC to be eligible. Manage your profile details, add a photo and create a personalized schedule showing only the sessions and activities you'd like to attend. The private messaging component allows for one-to-one or one-to-many communications. Discuss sessions, swap contacts or share promotions. Getting around the event is a breeze with interactive maps that connect attendees to the venue, meeting rooms and product gallery displays. Use your app during the general sessions to ask your favorite speakers some important questions to be answered on stage. Fun and promotional video content from YouTube and Vimeo is streamed directly through the app and is viewable on demand. This component gathers the latest posts from Twitter, the photo gallery and the agenda in one convenient place. Fill out this form to download a brochure highlighting our in-app sponsorship opportunities.